Buffon returns to Italy after controversial ban; can Gigi triumph over Ancelotti? Buffon returns to Italy after controversial ban; can Gigi triumph over Ancelotti? 06 November at 15:05 Back when Gianluigi Buffon played for Juventus, in what was his final European game for the Old Lady against Real Madrid, âSan Gigiâ was sent off; after squaring up to referee Michael Oliver. It was the Champions League quarter-final and Mehdi Benatia had fouled Lucas Vasquez to give Madrid a penalty deep into injury-time. Buffon flew over to Oliver and shouted in the Britonâs face. 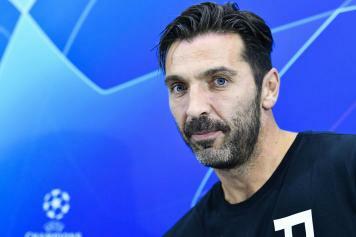 After the match, Buffon received a three-match ban in Europe after saying that Oliver had âa bag of rubbishâ instead of a heart and that the Briton should âsit in the standsâ and âeat crisps.â Therefore, when Buffon moved to PSG in the summer, the French club would be without the experienced Italian shot-stopper for their first three games. Buffon now returns to the Champions League and in what better fashion to return in than in a clash against the Napoli side that Buffonâs Juventus battled with for the Scudetto last season. Napoli, now led by Carlo Ancelotti, an adversary of Buffonâs throughout his career. Ancelotti was removed from his role as head coach of Juventus just a month before Buffon was signed from Parma. Ancelotti did, however, spend two years as manager of Parma whilst Buffon was at the club. Now, Buffon returns to Naples to take on the coach that has managed some of Juventusâ most famous adversaries: AC Milan, Real Madrid and Napoli. Ancelotti also returns to face his former club again in a match which promises to be one of the most exciting Champions League clashes of the day.